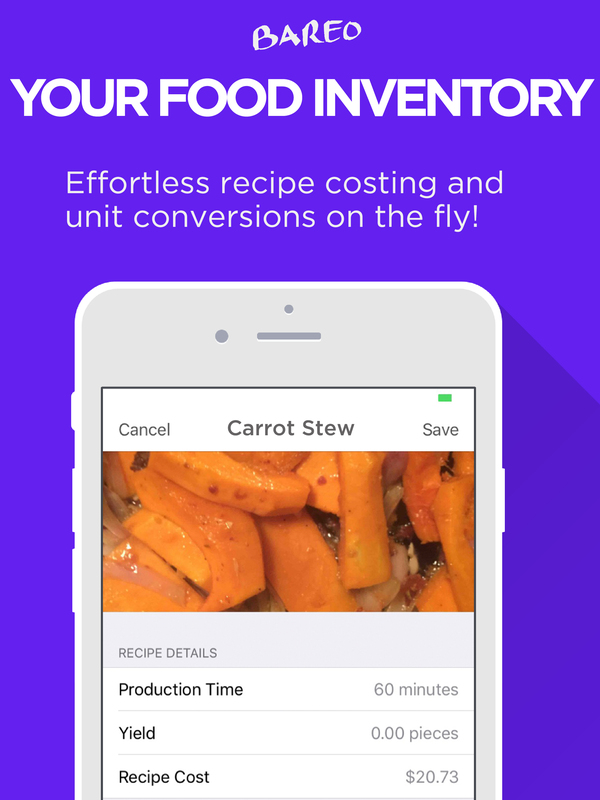 Bareo, the smartest food inventory app, makes food inventory tracking and supplying easy, automatic and more reliable. 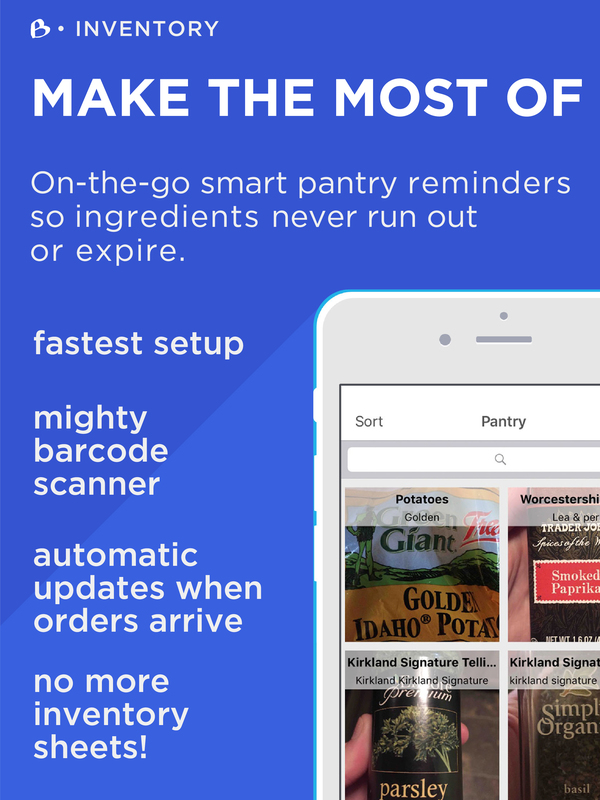 Bareo’s virtual pantry doubles as a Point-of-Sales system to sell items already made or pre-sell items from recipes. 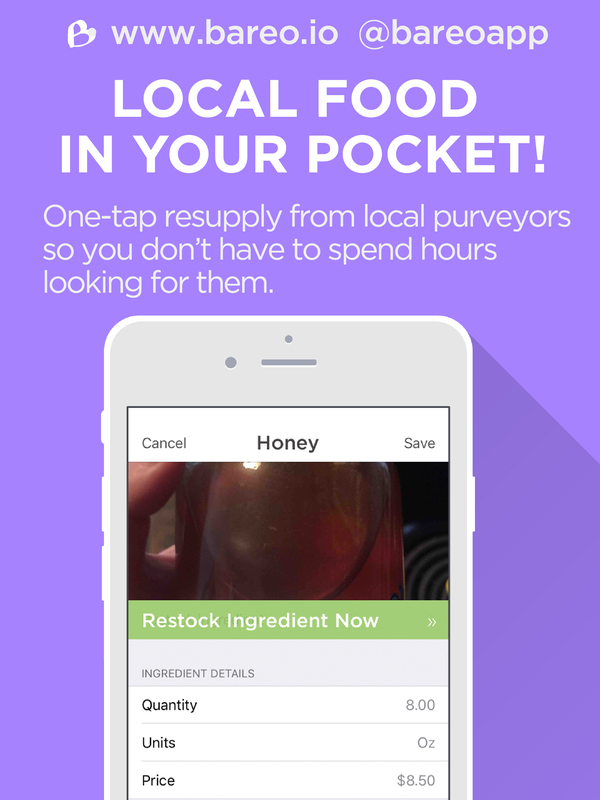 Bareo links food businesses with food distributors to secure deals to resupply their pantries, before ingredients run out or expire. Bareo is able to eliminate the guesswork and manual labor involved in tracking inventory, saving food entrepreneurs time, money, and headaches. before you run out of ingredients. Minimize last minute errands by ordering supplies from the storage room. to get your pantry up and running. your entire team on a shared pantry. posting them to your shop’s social media. Contact Us Now For More Information About Bareo!